Tales exploring the supernatural featuring Issues 40-46 from January 1956 to September 1956 of the ACG classic Forbidden Worlds. Featuring an essay by Barry Forshaw, this seventh volume has been meticulously compiled from the original source material and painstakingly digitally restored. 288 page full colour hardback book. Full colour slipcase featuring restored cover of Issue 43. 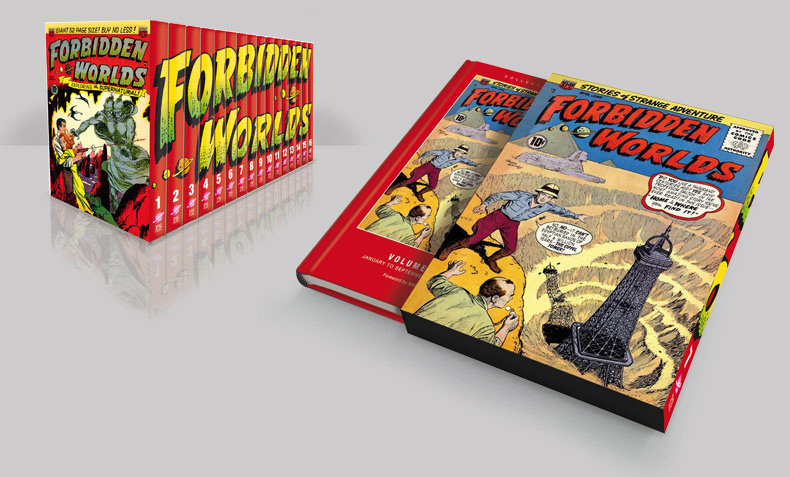 When the collection is complete the spines will display full "Forbidden Worlds" Logo Graphic. Tales exploring the supernatural featuring Issues 40-46 from January 1956 - September 1956 of the ACG classic Forbidden Worlds. 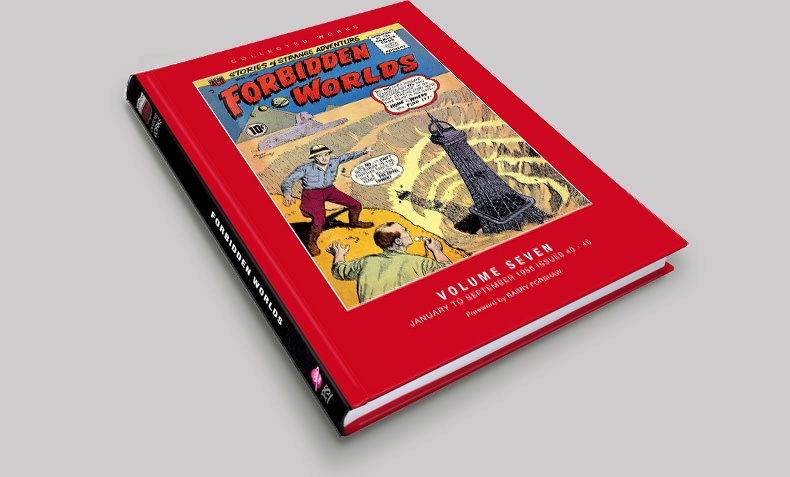 Featuring an essay by Barry Forshaw, this seventh volume has been meticulously compiled from the original source material and painstakingly digitally restored. Limited to just 1700 copies.